Roz Veevers - Independent Stampin' Up! ® demonstrator. | Independent Stampin’ Up! ® demonstrator. Roz Veevers – Independent Stampin’ Up! ® demonstrator. Please update your bookmarks and favouritesas I will no longer be updating this blog, all updates will be placed on the new one. I received some more ATC’s this week, thank you so much ladies! To help those victims of the bushfires that have ravaged Victoria, join with us in supporting theBushfire Appeal. *These sets will appear on the upcoming list of retiring products, so they will only be available for the Bushfire Appeal–while supplies last. 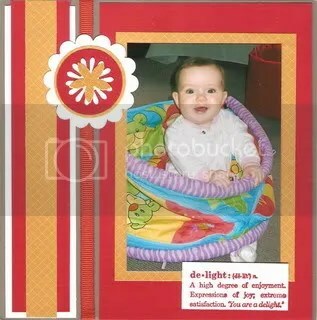 Each month on my Scrapbooking Blog I upload a page map, layouts and a video. If you would like the page map for this month, please EMAIL ME at rozzieoz@tpg.com.au. Here is the video for january, hope you like it! I have been INCREDIBLY spoiled with amazing little artworks over the past few weeks. Enjoy! 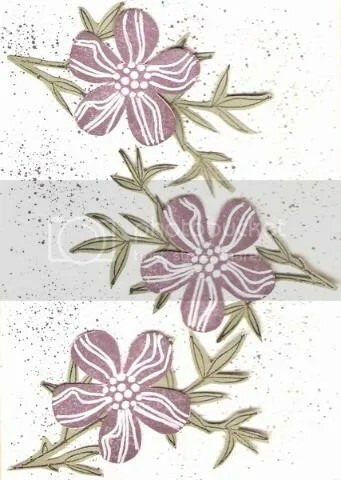 I will be holding another Online Stamping Party on Friday, February 27th at 7pm Adelaide time. If you would like to participate, email me your postal address to rozzieoz@tpg.com.au and I will send you your information pack, including a FREE make-and-take kit, which you can make at the party (no cheating!). The chat will take place in my chat room- no special software required, and you will receive links to videos online, which will show each project being made, just like you are at a real stamping party. My online parties are very popular and huge fun. EMail me for more details. Each month I email a step-by-step tutorial to everyone who is subscribed to my newsletter. This month’s card is made using two stamp sets from the current Summer Mini Catalogue. To receive your free copy of the Mini catalogue email me on rozzieoz@tpg.com.au and visit my website at http://www.stampofapproval.com.au to add your email address to my mailing list. This is my first video for the year and I am so thrilled to get back into the swing of things. 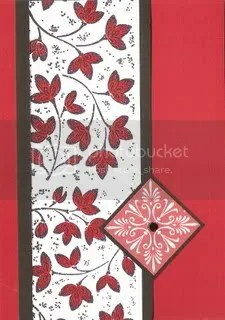 This card is made using two stamp sets from Stampin’ Up! and three markers. Too simple! Type in your chat name, ignore the password part, and CLICK to chat. Please note that the content of this blog is my sole responsibility as an independent Stampin' Up! demonstrator and the use of and content of the classes, services, or products offered are not endorsed by Stampin' Up!